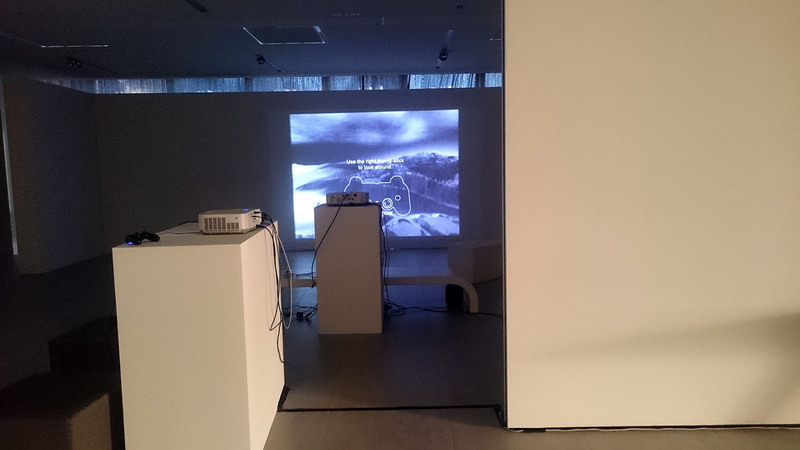 I organized an exhibition with Videogames which ran from November 24 until December 8. In a world full of smartphones, apps and augmented reality, almost nobody notices a single new videogame. But as a result of the development of extended and accessible techniques, the videogame is no longer just a game of skill. An extensive industry emerged with more and more influence on our daily lives. But how big is this influence? 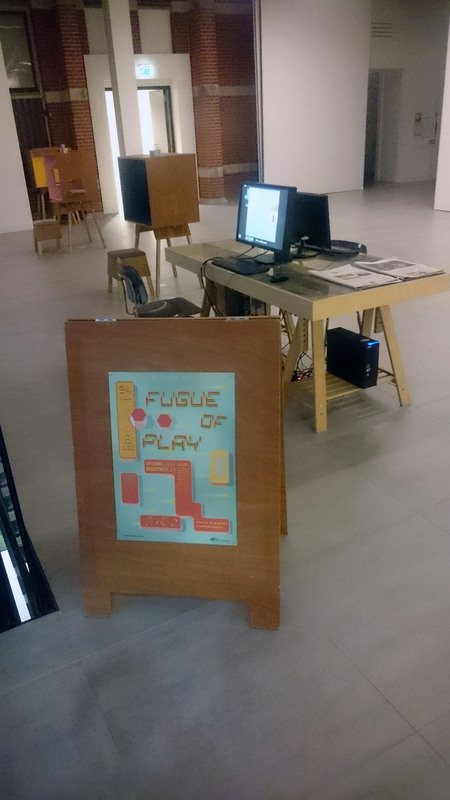 The exposition Fugue of Play evokes a discussion on art ánd videogames. Techniques that are being developed for the gaming industry are used to create realistic 3D worlds, that are accessible from the living room through virtual reality. 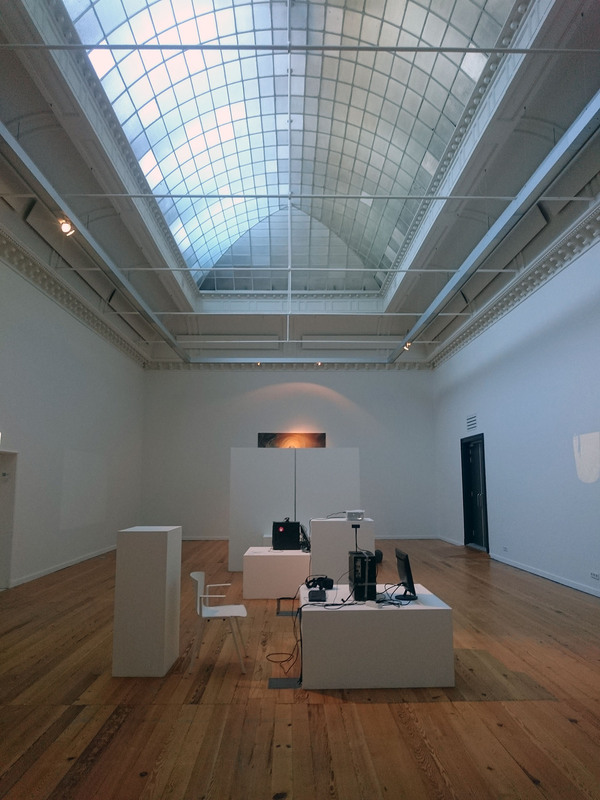 And even if you leave this room, the impact of videogames is all around you, from social media on your smartphone, the use of Oculus Rift (a VR- headset developed for video gaming) in tanks, to flying drones and the treatment of lazy eye with a game. We are making our way to unknown territory, in which different realities make up our lives. Fugue of Play plays with our consciousness of these realities and evokes questions around the meaning we give them. And how do these realities become a part of artistic practice? Visit the exhibition at Platform Minerva (Praediniussingel 56) on working days from 11 to 19. 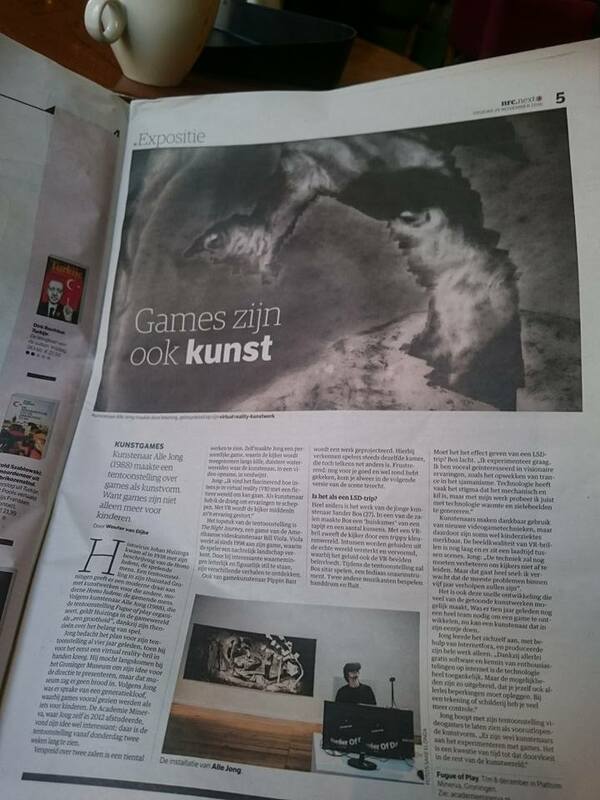 Participating artists are Bill Viola & The Game Innovation Lab, Alle Jong, Sander Bos, Nuprahtor, Pippin Barr, Dan Pinchbeck, Jason Rohrer, Jeremy Couillard. 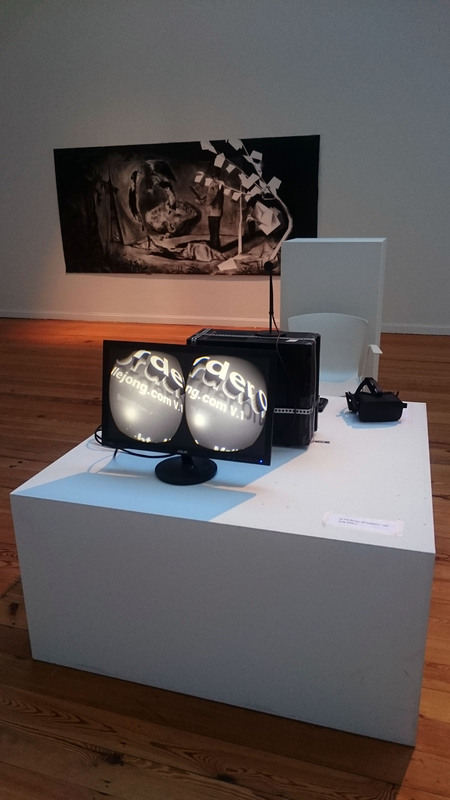 VR Installation with large scale drawing by Alle Jong, the VR interactive videogame movie ”At the border Of Darkness” was shown by Jong. 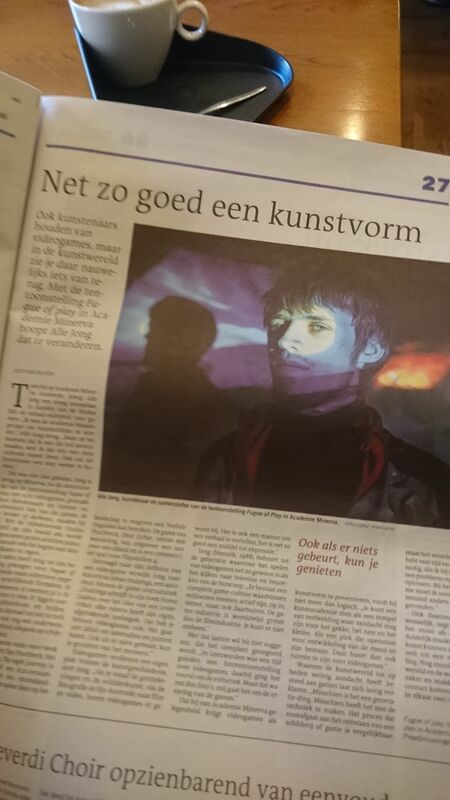 The Newspaper NRC Next & Handelsblad published an article about the exhibition.